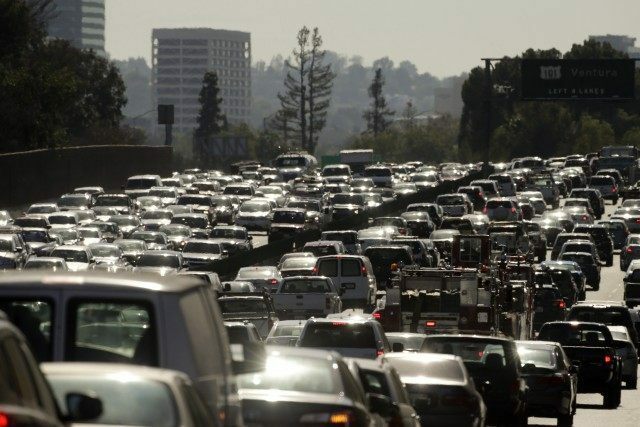 Los Angeles City Council have proposed a transportation plan they know will increase L.A. traffic, in the hope that drivers will abandon their cars and turn to other modes of transportation, such as bicycling, walking, or public transit. The initiative proposed by the Council, called Mobility Plan 2035, would entail building 300 new miles of protected bike lanes, 117 miles of new bus-only lanes, and 120 miles of streets where the bus-only lanes would function during rush hour. Some of the major streets affected would include Martin Luther King Jr. Boulevard, Sherman Way and Van Nuys Boulevard. Lankershim, Sunset and Venice Boulevards would receive bus-only lanes and protected bike lanes. Critics point out that the reduced number of traffic lanes would only exacerbate traffic congestion, increase noise, and catalyze drivers to drive through residential neighborhoods to avoid traffic on the major thoroughfares. Mobility Plan 2035 was approved by the city’s Planning Commission in April. The Council will consider Mobility Plan 2035 on August 11.